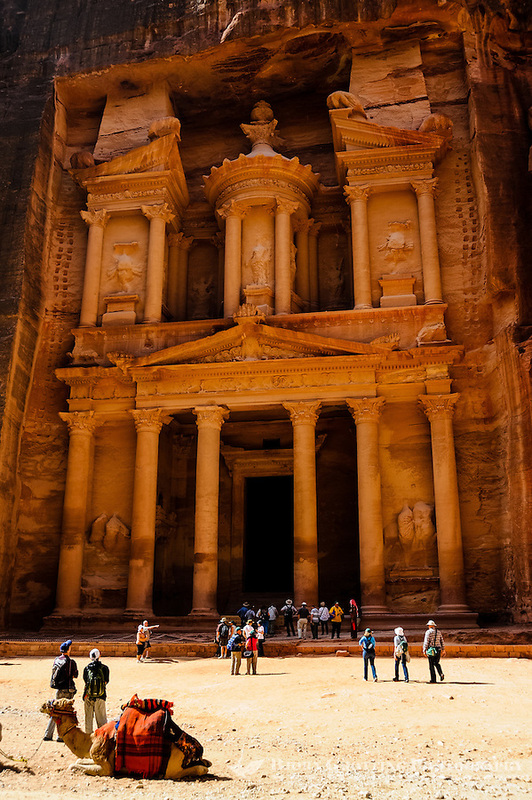 Petra is Jordan's most visited tourist attraction. Al Khazneh, The Treasury, is the most famous building. Dromedary transport.